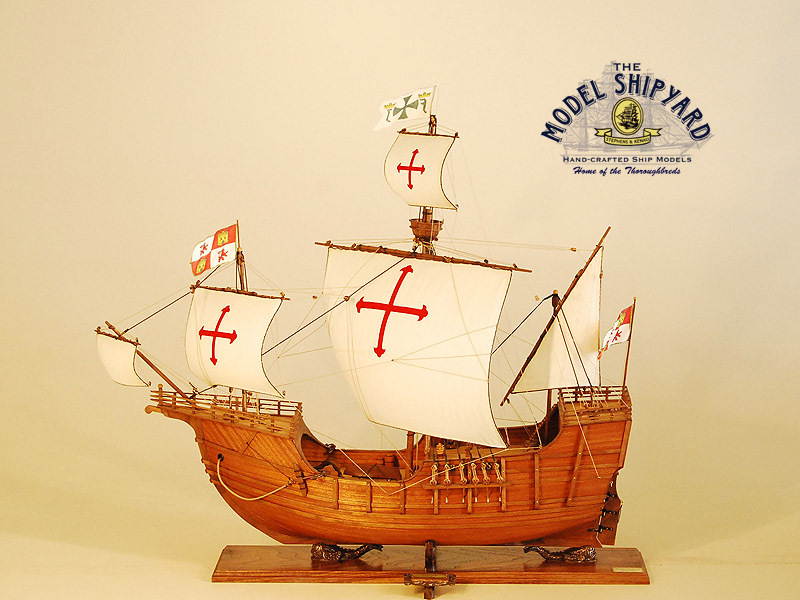 One of the single most important voyages in history was the first of Christopher Columbus?s four voyages from Spain to the Americas between 1492 and 1502. In 1485, Columbus moved to Los Palos de la Frontera, Spain, with a view to interesting Ferdinand and Isabella of Castile in the same venture, and in this he was ultimately successful. 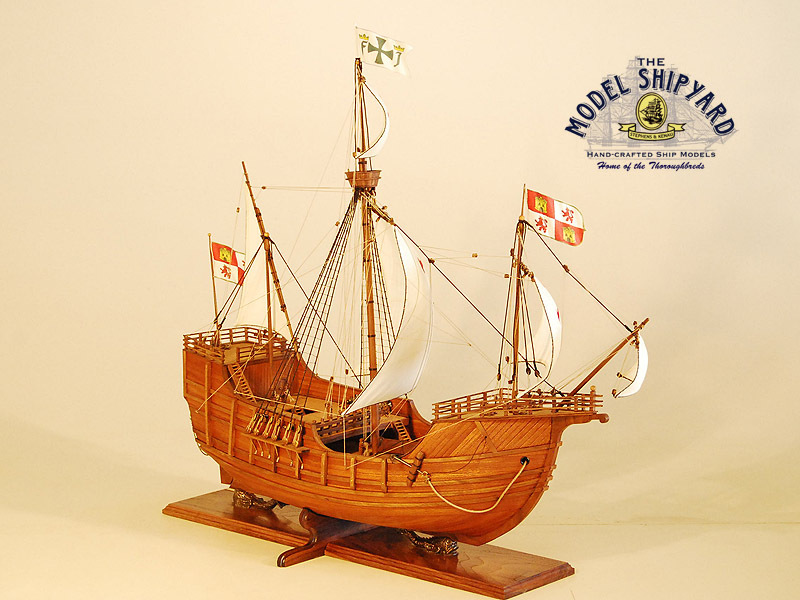 When Columbus received this commission, the citizens of Palos furnished him with two caravels, NIÑA and PINTA, in satisfaction of a fine levied against the town by Ferdinand and Isabella. 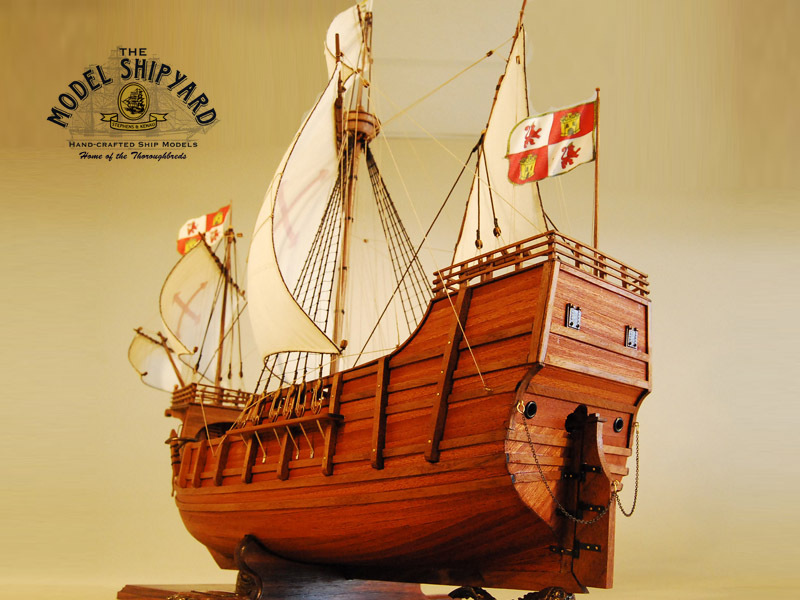 Columbus also hired the nao Santa Maria, a merchant ship from Galicia whose owner, Juan de la Cosa, sailed as pilot. 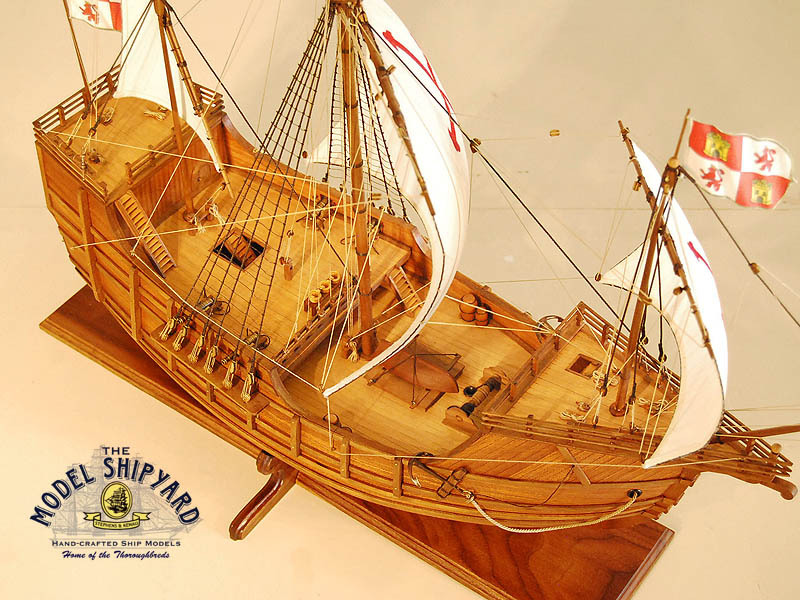 Santa Maria was large enough for Columbus to make her his capitana, or flagship she was not an especially large ship for her day. The mizzen carried a single fore-and-aft lateen sail, the main mast two square sails, a course, and a topsail, and the foremast a single square sail. There was also a square spritsail set from the bowsprit. The helmsman steered with a tiller that led to a rudder. With one deck and a year’s provisions, there were few creature comforts, and sleeping quarters were fairly rude. 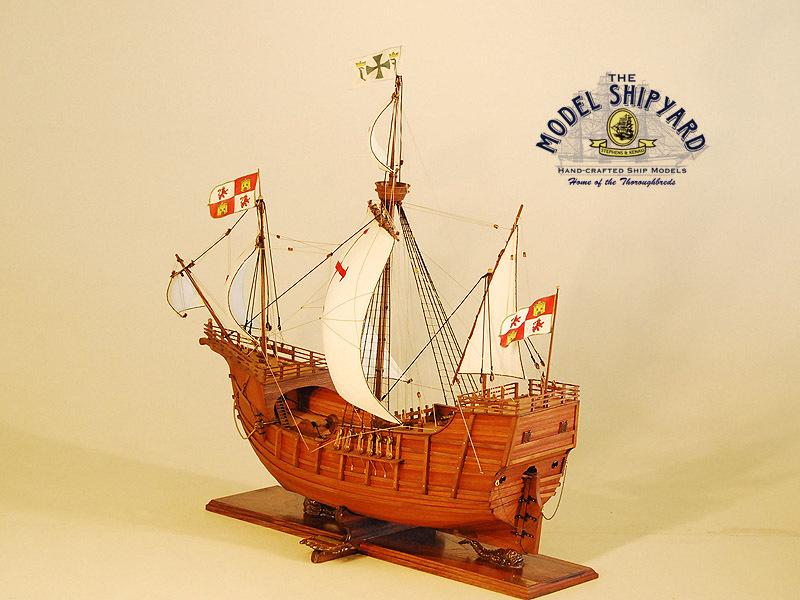 For auxiliary power, the ship could be pulled by a heavy yawl boat or rowed by wooden sweeps. Columbus found Santa Maria a dull sailer, and he complained that her draft was to deep to make her useful for exploration. 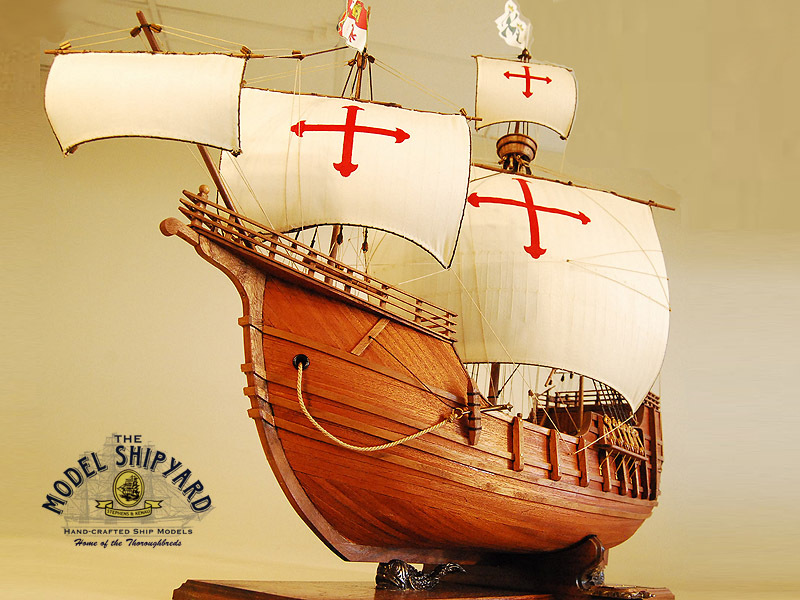 Sailing from Palos on August 3, 1492, Santa Maria and Niña arrived at the island of Gomera in the Canary Islands on August 12. Pinta?s rudder trouble had forced her into Las Palmas, where Santa Maria and Niña put back to on August 25. They reached the Sargasso Sea on the 16th, and three days later they were out of the trade winds. There followed a week of light and variable winds. 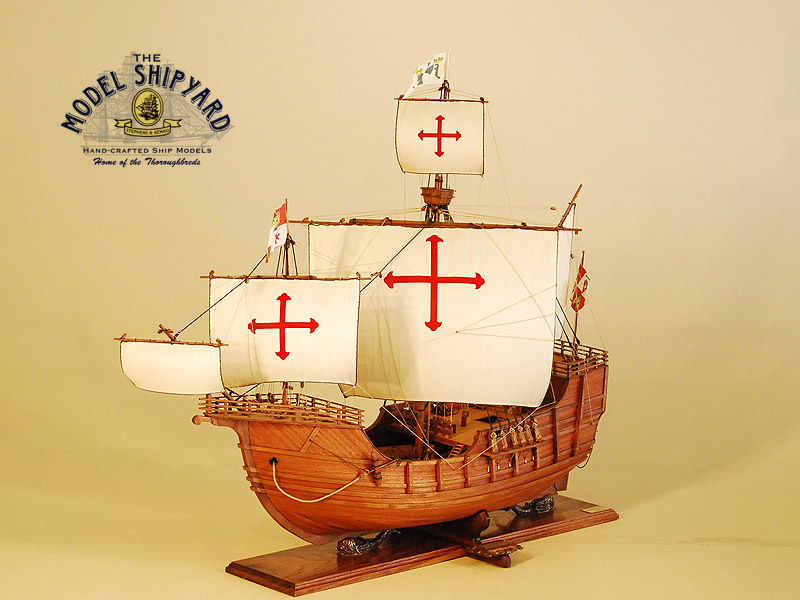 Nonetheless, by the October 10th the crew of Santa Maria were near mutiny and Columbus apparently agreed to put about within a few days if they did not sight land. The next day, the appearance of manmade artifacts and tree branches confirmed that land must be near. At about 22H00 that night Columbus believed he saw a light in the distance. Four hours later, at about 02H00 on October 12, Pinta’s lookout Rodrigo de Triana saw the Taino Indian island of Fuanahani, in what is now the Bahamas, where they landed later that morning. Columbus gave this island the name San Salvador. Sailing through the Bahamas for two weeks, the little fleet crossed south to Cuba on October 27, sailing as far west as Puerto Padre. On November 20, the three ships made a tentative foray in the direction of the Bahamas, but, while trying to return to Cuba, Martin Alonso Pinzón in Pinta split off from the others to investigate Great Inagua Island, and he was gone until the New Year. On December 12 at Moustique Bay, they took possession of the land in the name of Ferdinand and Isabella. The presence of more gold artifacts and the friendliness of the local cacique, Guacanagari, encouraged the explorers. But while working their way eastward, tragedy struck on Christmas Eve. The only man awake aboard the ship seems to have been a ship’s boy at the tiller, for the master of midwatch, Juan de la Cosa, and the helmsman had fallen asleep. Shortly after midnight, Santa Maria grounded on a coral reef. No one was killed, but the ship was ruined and Christmas Day was spent salvaging what could be saved from the flagship. It would have been virtually impossible to cross the Atlantic with more than sixty men in the Niña, so thirty-nine crew remained at La Navidad. 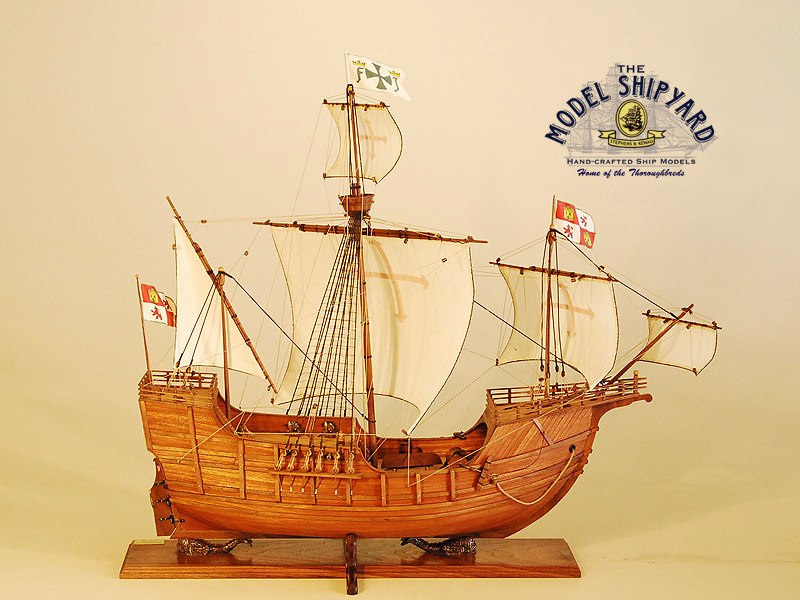 Niña sailed on January 4,1493 for the voyage home. As fate would have it, none of the men who stayed in Hispaniola would survive to greet Columbus on his return in November 1493. 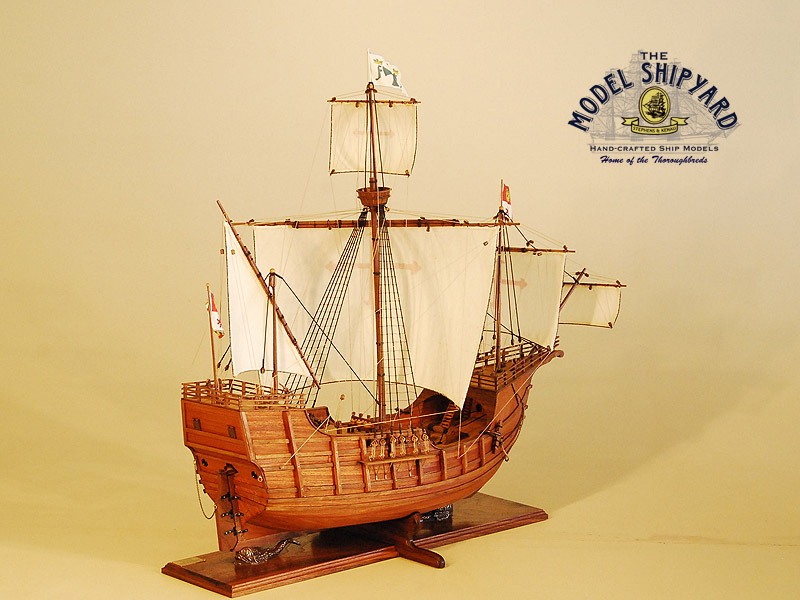 A number of replicas of Columbus’s ships have been built since the 400th anniversary of the first voyage.